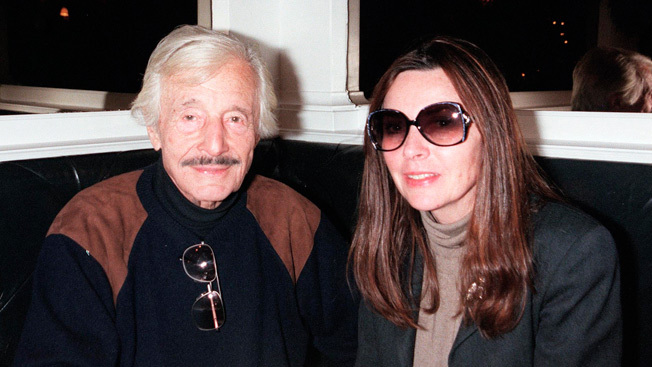 Oleg Cassini’s widow is blaming former friend Si Newhouse for errors in a Vanity Fair piece, according to a lawsuit filed recently in Manhattan Supreme Court. Marianne Nestor-Cassini is upset she was paired with CBS CEO Bill Paley in a Midtown apartment in the magazine’s September 2010 story by Maureen Orth about the bitter feud over the late fashion designer's $52 million estate. The suit claims that Newhouse, of all people, should have known better. “Marianne never had a Fifth Avenue apartment in the 1960s nor did she even know Bill Paley; Si Newhouse, CEO of Advance Publications, should know this to be false, as Marianne was living in SoHo, and Si Newhouse would drive her home after dinner at Orsini’s on West 56th Street, in the same time period,” according to the $10 million defamation suit. “Si was not married at the time,” the suit notes. The Jackie O designer's marriage to Nestor-Cassini was unknown even to his daughter. Nestor-Cassini says that Advance Publications is responsible for the article, which she says "contains numerous false and misleading descriptions and misrepresentations of fact and other material of a disparaging and scandalous nature which is or will be injurious to the reputation of Marianne and Oleg." The story, “Cassini Royale,” is told mainly through the eyes of Cassini’s daughter, Christina Tierney, who claims Nestor-Cassini is trying to block her from taking her rightful share of her late father’s money. Nestor-Cassini, who Orth described in the article as a “reminiscent of a character in a Danielle Steele novel,” has even called into question Tierney’s lineage, saying in court papers that her mother, the Academy-Award-nominated actress Gene Tierney, was seeing “Howard Hughes, Tyrone Power, JFK, and the Hollywood agent Charles Feldman” around the time of her conception. She says the she tried to contact Vanity Fair editor Graydon Carter before the piece came out, but he blew her off. Nestor-Cassini did manage to reach Orth’s editor Wayne Lawson and told him about the “unprofessional, salacious, inaccurate, false, prurient, and libelous reporting engaged at Vanity Fair,” but he failed to act, the suit claims. Vanity Fair declined to comment.